Oh great: Invisible Children's Jason Russell is back in business (with his pants on, hopefully) with a new campaign. I can see the Upworthy headline now: You Won't Believe How Easy It Is To Track Warlord Joseph Kony Down. Soo easy, you guys! 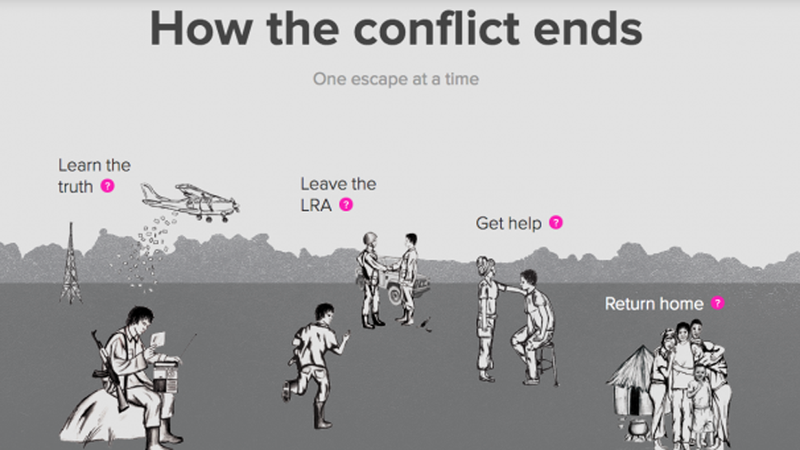 They've even provided a handy infographic, above, that clearly illustrates how the decades-long conflict will end. So this is what they did with that $20 million they raised, eh?